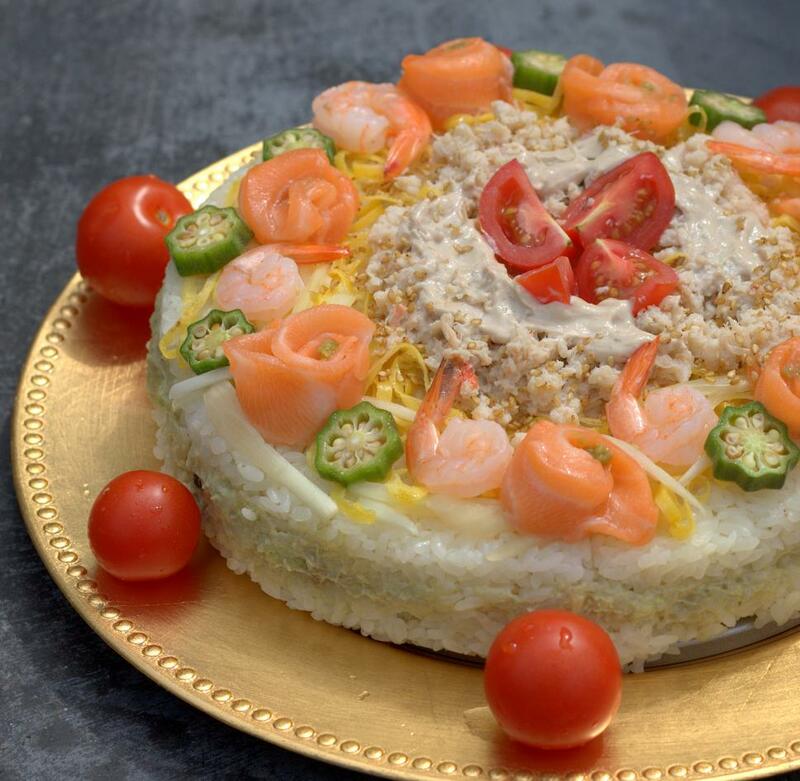 Spice Up Your Life With a Taste of Japan: Sushi Cake! Made a sushi cake for my friend's birthday party. Prepare sushi vinegar. Mix all the * ingredients well and let it cool in a fridge over night. Add the sushi vinegar to hot steamed rice and mix well. Cover the mold with plastic wrap. 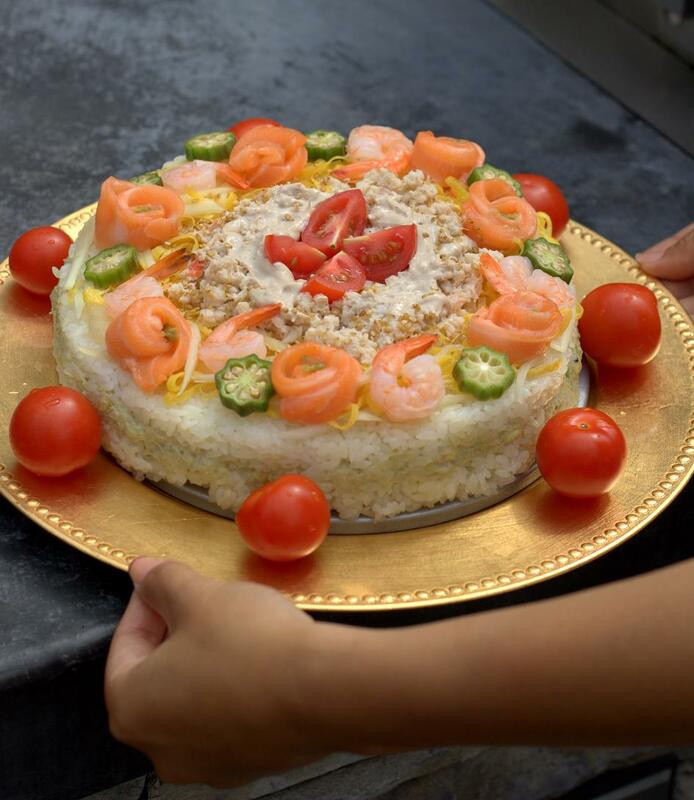 Fill the mold with the half amount of sushi rice. Place plastic wrap on and press the rice. 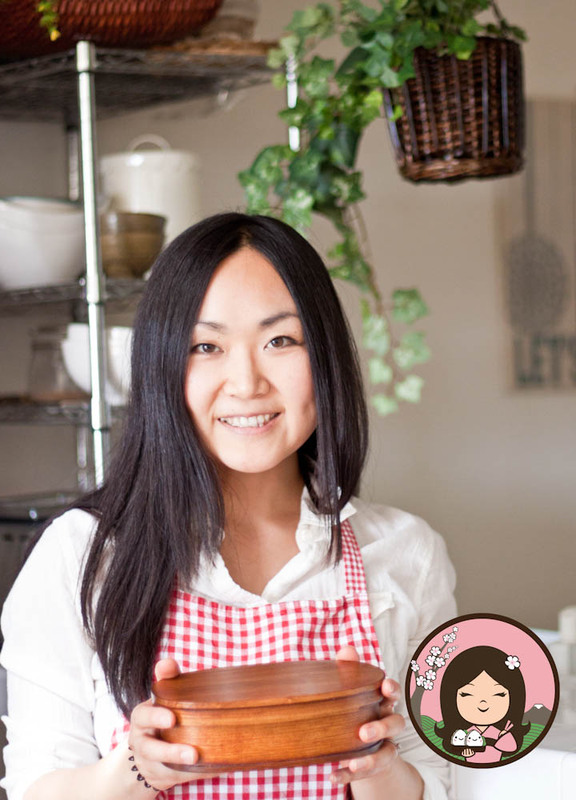 Spread the avocado salad and put another half of sushi rice over the avocado and press the rice using plastic wrap. I used avocado and crab meat mixed with my favorite creamy tofu savory sauce from the vegetarian restaurant in Hermosa Beach, The Spot. Love this sauce! So good with brown rice and steamed vegetables. Also, I put some pickled onions under the salmon roses, like Salmon carpaccio. 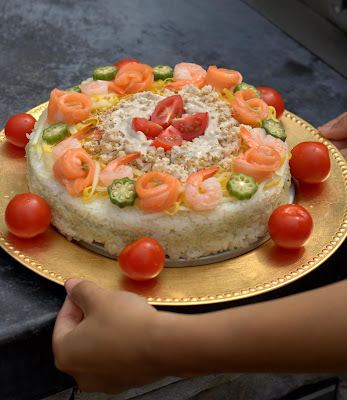 © Spice Up Your Life With a Taste of Japan: Sushi Cake!